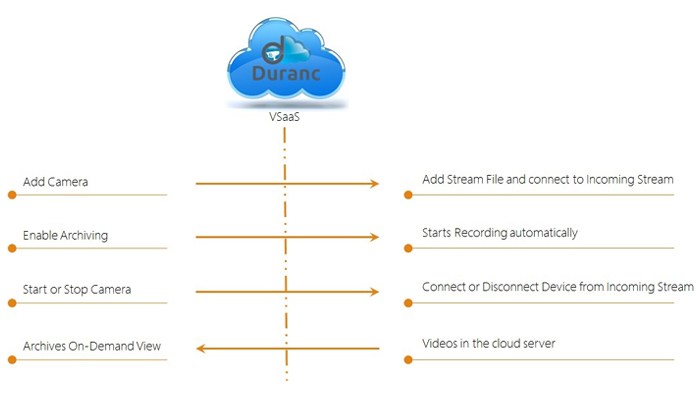 Duranc has taken an unique and innovative approach that delivers state-of-the-art streaming and archiving of cameras with advanced video analytics. 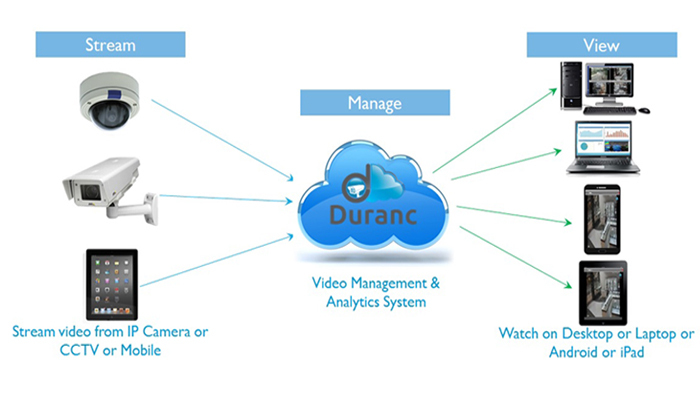 Unlike other available options in the market where clients are tied into using specific camera, makes and models, we have simplified the entire process.With our leading edge approach, clients enjoy freedom of choice that enables them to use any make or model of camera which can be connected to Duranc's Cloud Video Management System as long as it provides an RTSP, RTMP & MPEG-TS streams. This cost-effective option offers clients a wide array of flexibility because it gives them the option to use any camera that suits their needs without being restricted by Duranc's VMS system. There is no need for any additional hardware, NVR, DVR, or software. Additionally, the video is always encrypted prior to being sent out from the cloud. Our clients can easily view video from any mobile device or web browser.